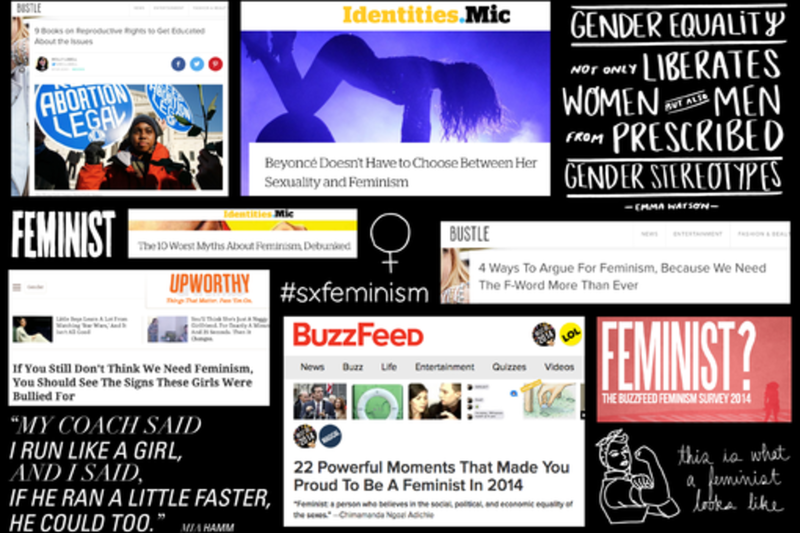 We've known for a decade that a feminist approach to content builds loyal, engaged audiences. What it hasn't been known for, however, is helping scale major media properties attracting big advertisers. In the last few years that's changed. The ubiquity of social media has given millions of young women more opportunity to openly discuss the issues important to them, and they expect the same passion and authenticity from media outlets. These readers look for stories told from the angle that women's rights and interests aren't niche, "soft," or otherwise incidental. And startups that embrace that perspective are seeing huge traffic and revenue growth. This panel brings together members of the Bustle, Mic, Upworthy, and HelloGiggles staffs to discuss how feminism, once considered unappealing or just irrelevant to mass audiences, is helping build large, lucrative, and influential media brands. We'll trace how that happened and the ways it's enabling content sites to propel social change. Elizabeth Plank is the Senior Editor for Mic. She joined in March 2013 and helps devise strategy for social and viral content. Her unique training in behavioral science coupled with her lively, smart take on hot-button social issues has made her one of the most popular voices on Mic, which gets 20 million unique monthly visitors. She has appeared on multiple TV news outlets and is a weekly guest for MSNBC's first web show. Through her online activism and creative approach to journalism, Liz has made it her mission to elevate the voices of those who are often not heard. As the creator of many viral campaigns such as #YesAllMen and #WithoutTheWageGapIWould, Liz is eager to work with organizations that advocate and also innovate in the public interest. Her specialties include: gender advocacy, policy analysis, and social media strategy. Prior to joining Mic, Liz worked as a research assistant and behavioral science consultant at the London School of Economics. Kate Ward is the current Managing Editor of Bustle.com, the former Executive Editor of Hollywood.com, a former editor and writer for 'Entertainment Weekly' and EW.com, and a forever fan of pop culture. A graduate of the Medill School of Journalism at Northwestern University, Ward — whose work has also appeared in 'Glamour' magazine — loves talking about nutgrafs and hates exclamation points, despite using them on a regular basis. Specializing in reality TV, ’90s nostalgia, and bad movies, Ward is likely the oldest person to attend "American Idols LIVE!" every year with her mom.